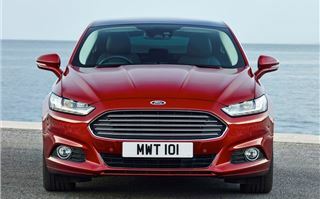 After two years of delays it could be a case of better late than never for the Mondeo, with Ford's new large family car arriving at a crucial time to compete with both the new Skoda Superb and Volkswagen Passat. 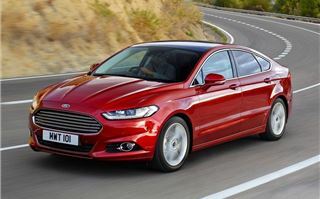 Like its predecessor, the Mondeo sticks to its principles, offering low running costs and lots of equipment as standard. There are some important improvements, with a new upmarket interior and a significant step up in all-round refinement. 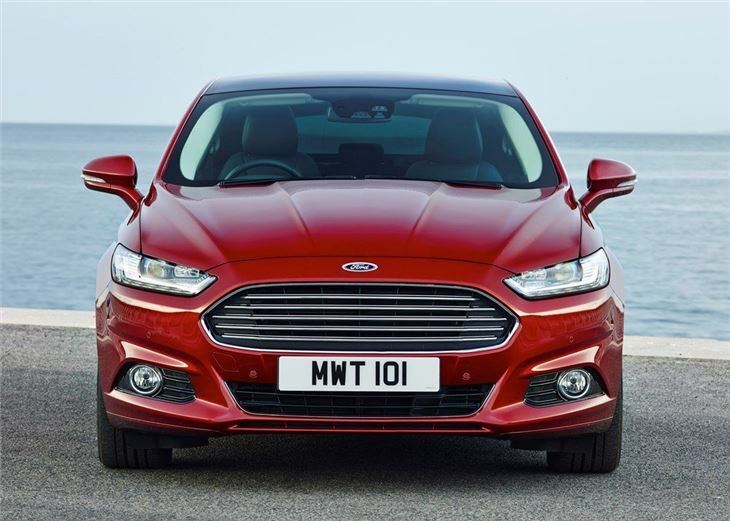 The new Mondeo gets a huge range of engines, with three EcoBoost petrols and a petrol hybrid, offered alongside the traditional 1.5 TDCi and 2.0 TDCi. However, it's the 150PS 2.0 TDCi that represents the best balance, emitting just 117g/km of CO2 and returning up to 64.2mpg in its standard guise while ECOnetic models will return 68.9mpg and 107g/km. The diesel is powerful with 350Nm of torque making short work of overtaking and the 0-62mph sprint, which is completed in under 10 seconds. But it's not all about performance because the new engine majors on refinement with a hushed chatter at idle and a smooth operation all the way up to 70mph. 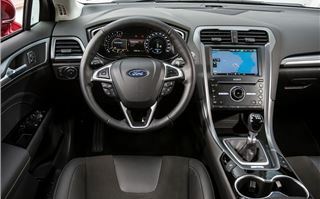 Vibrations, in the gear stick and pedals have also been addressed, which means the Mondeo feels a more relaxed at low speeds and in stationary traffic. The four-cylinder diesel is linked to a six-speed manual gearbox which is smooth and precise, but requires a very long shift to engage. 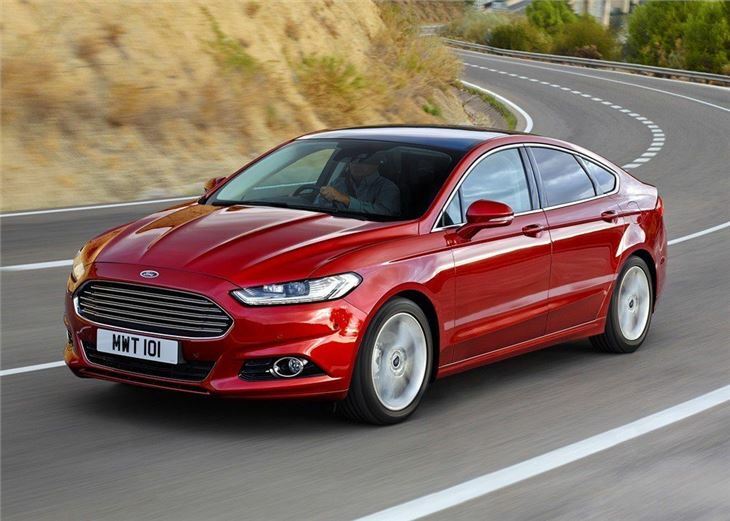 The energetic changes are balanced out by the high torque of the 2.0-litre engine, which means the Mondeo is happy to sit in the higher gears for longer and at lower speeds. If you don't like the idea of a giving your arms a workout every time you need to shift up or down then a six-speed auto is available for an extra £1500 on Zetec and Titanium trim levels. On the road the Mondeo feels a lot softer and smoother than before, thanks to a new electric power steering system and revised rear suspension. As a result the suspension is supple and comfortable, soaking up undulations in the road and providing excellent stability in the corners. While we grew to love the ride, we weren't so convinced by the new steering system, which feels a little overpowered at higher speeds. 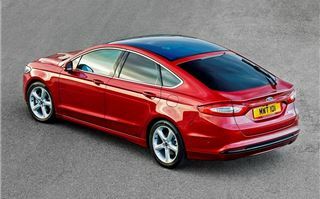 The old Mondeo was one of the best handling cars in its class, but the new model feels a little vague and dumbed-down. 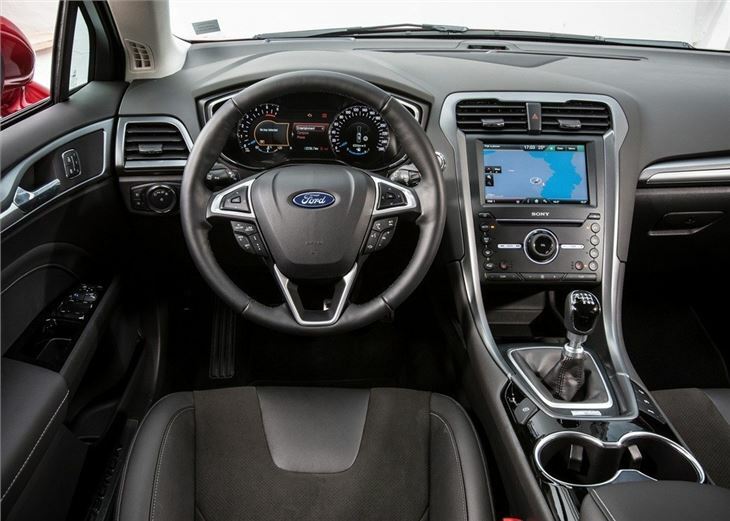 The steering does come into its own at low speeds though, especially when parking, with less turns needed to squeeze the big Ford into tight spaces. 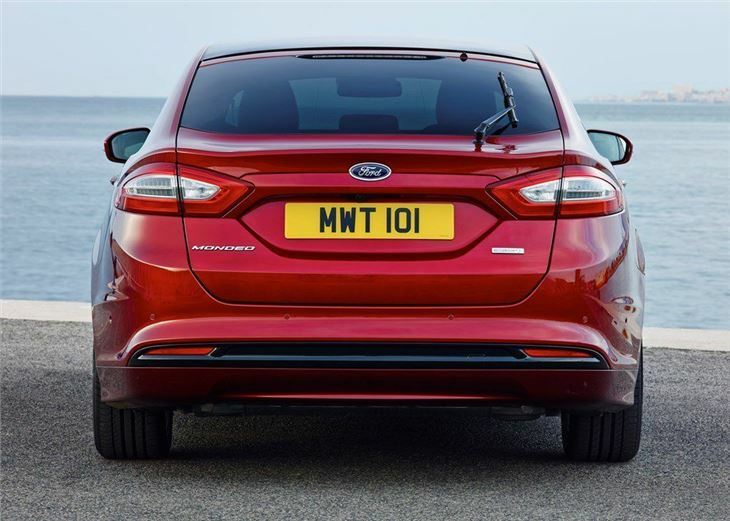 At five metres long, the Mondeo is one of the longest cars in its class and this equates to a large cabin that will fit five adults with ease. 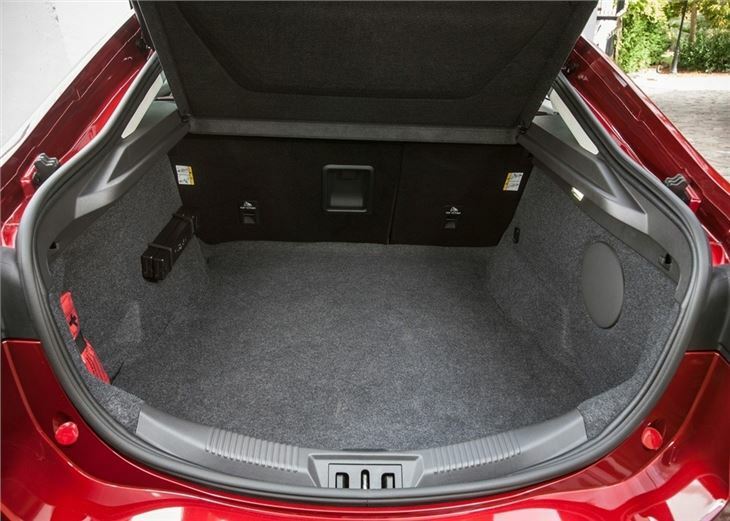 The interior is a big step up in quality, with no gaps in the trim and lots of soft-touch materials. The multifunction steering wheel is also an improvement over the old model, with a nice layout that makes it easy to change radio stations or use the Bluetooth, without diverting your eyes from the road. As with the old model, standard equipment is generous and entry-level Style models get an eight-inch colour touchscreen, automatic dual zone climate control and an electric parking brake with hill hold assist. Given the choice, we'd spend the extra £1000 for the Zetec trim, which adds body coloured bumpers, heated windscreen, cruise control and powered rear windows. 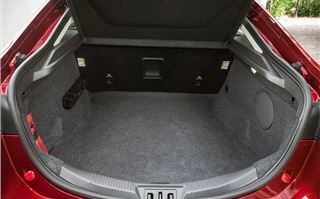 The boot is large too - but 40 litres smaller than the Volkswagen Passat - with 541 litres of storage available. In comparison, the Passat nudges ahead of the Mondeo on quality, but the Volkswagen doesn't get anywhere near the Ford on standard kit and this will be the deal breaker for many people. 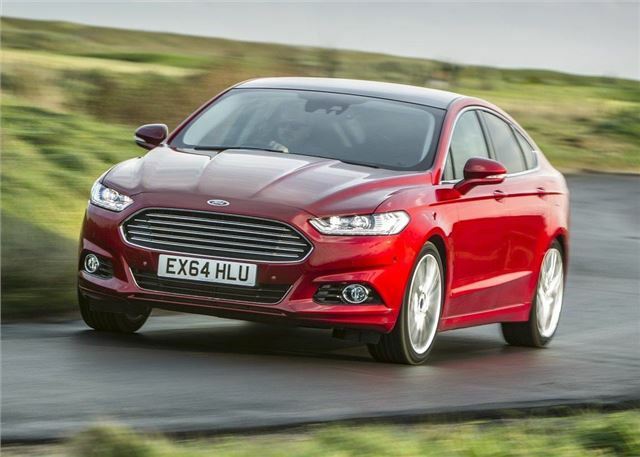 The new Mondeo might have been a long time coming, but it's difficult to argue against the huge improvements that Ford has made to the tired rep-mobile formula. 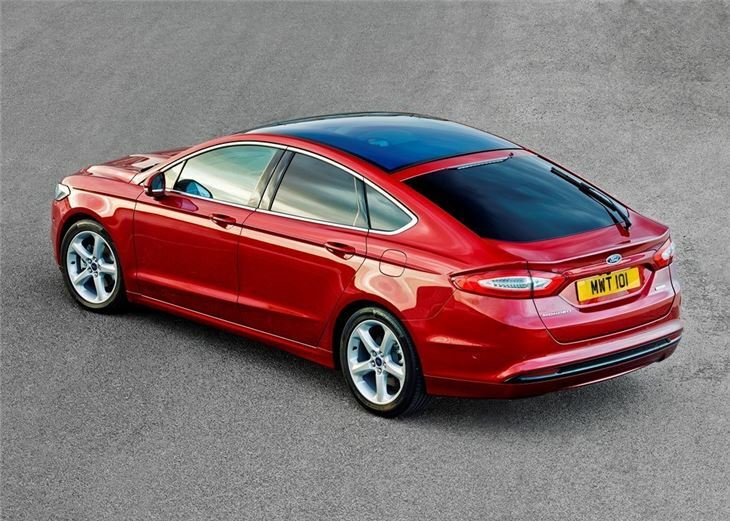 Not only is the Mondeo more refined and economical than ever before, but it is also a lot more comfortable. This is probably just as well because it is also the most expensive Mondeo ever with the 2.0 TDCI starting at a hefty £21,845. 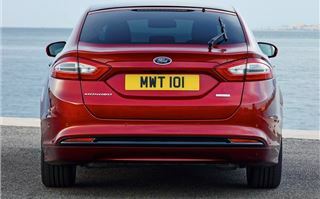 Yet, even with the larger price tag, we still think the big Ford is the best all-rounder in the large family car market, which probably explains why it clinched the award for the Honest John 2015 car of the year.